Best Daiwa Fishing Reels | Written by Captain Cody! Daiwa makes both affordable and high end fishing reels. These are great and cost effective compared to other very expensive alternatives. Daiwa the company is based near Los Angeles California and started making fishing reels in 1955. The most popular Daiwa reels I see being used are their line counter reels and Electric reels. Daiwa also makes great spinning reels and conventional reels with level winds. Spinning reels are the most popular fishing reel today. They are versatile and the easiest way to cast and quickly let line out without having the line get twisted. 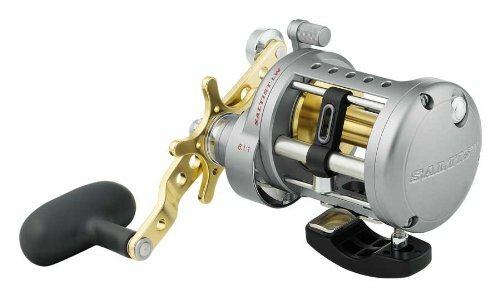 Daiwa makes affordable saltwater and freshwater spinning reels. These reels come in various sizes allowing the reel to match the line weight and fish size. Typically catching fish on spining tackle is also the most enjoyable. Typically a spinning rod of any size is considered light tackle. However, big sailfish, tarpon, sharks and tuna can all be caught on spinning tackle. The fishing pole the goes with a spinning reel should have large eyes near the bottom of the pole to allow for the line to be able to pass through quickly. The Daiwa Bg is a great high end saltwater spinning reel at a reasonable price. This reel is on par with high end Penn and Shimano spinning reels. For most inshore and reef fishing the 6500 is a great option with an impressive 33lbs of drag on a small reel. 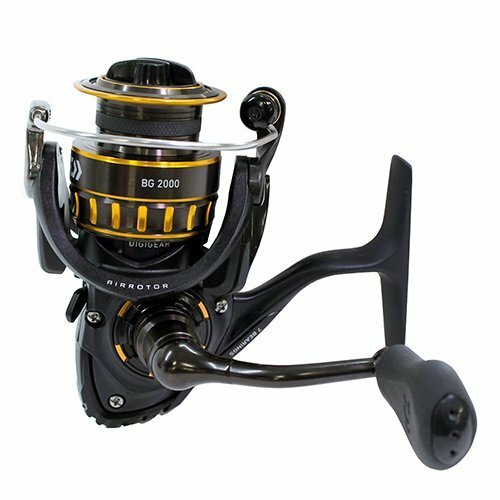 For fishing offshore, the 8000 size reel is a great option with high line capacity and also 33lbs of drag. This spool has a rubber backing and is ready for braided or monofilament line. This reel had six ball bearings and has an infinite anti-reverse system. The reel handle can be reversed to work with left-handed anglers. 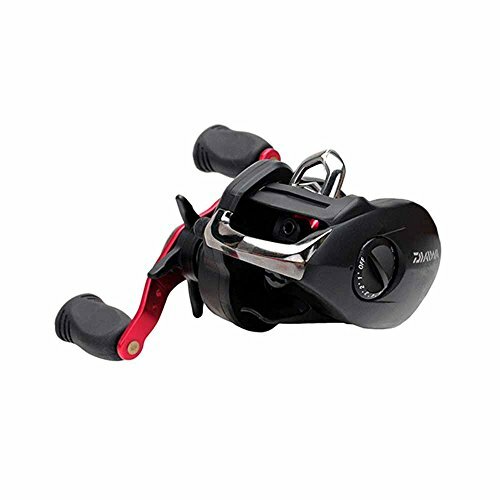 The Daiwa Crossfire is your average freshwater spinning reel at a very low price point. For typical freshwater fishing, I would recommend getting the Crossfire 3000. It weighs 10.6 ounces and is good for medium to medium light fishing action. The drag is only 8.8lbs but could still be lined with 20 lb braid and used to catch big fish. There is not a rubber backing to the reel so some monofilament backing line should be added to the reel before being topped off with braid to prevent the line from spinning on the spool. Conventional Reels are typically used for trolling or bottom fishing. Conventional reels are typically reeled with the right hand compared to spinning reels which are typically reeled in with the left hand. Conventional reels are not to be used for casting. They can have a lever or a star drag system. Both have their advantages and disadvantages. For novice anglers getting a conventional reel with a level wind is a good idea otherwise the line will build up on one spot on the reel. The fishing pole for conventional reels are typically very sturdy and have small eyes. Fishing poles with roller guides are a must when catching really big fish with conventional reels. 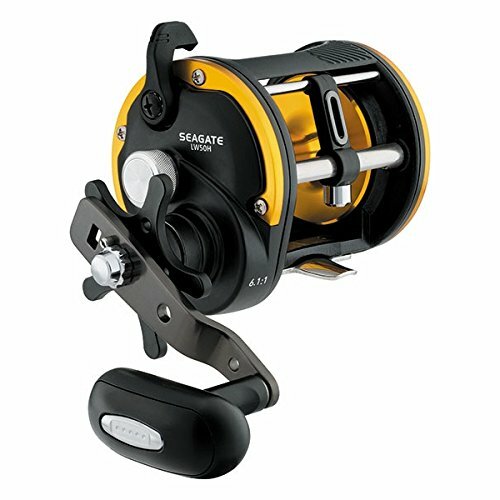 The Saltist Ultra high-speed reel has a level wind and 15.4 pounds of drag. This reel has a fast retrieve and the gears have high winding power. The 30HA reel can hold 280 yards of 50lb braid or 230 yards of 25 pound Mono. 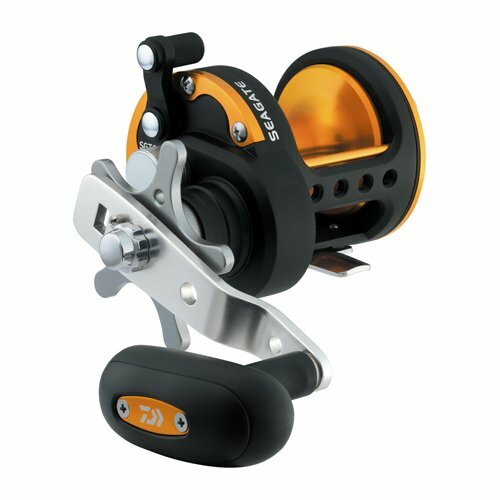 This reel would be great for salmon trolling, trolling on the reef or trolling offshore for small tuna or mahi mahi. The Daiwa Seagate with level wind is a great option for trolling and bottom fishing rods. The level wind makes fishing easy without having to push the line back and for while reeling. The 50 size rel can holds 650 yards of 50-pound braided line. The max drag for this reel is 20lbs. The Daiwa Seagate conventional fishing reel does not have level wind and is great for jigging and bottom fishing. This reel comes in sizes 20, 30, 35, 40 and 50 depending on the size fish being targeted. The max drag for the reels are 15.4, 15.4, 19.8, 19.8 and 19.8 respectfully. With 50 pound braid the reels hold 200, 280, 360, 490 and 630 yards respectfully. Baitcasting reels are synonymous with bass fishing today. If you go to a bass fishing tournament some anglers have 20 poles all baitcasting reels. Baitcasting reels are great for short pitching of baits and jigging. When you are jigging of 6 hours straight you want a comfortable and economical reel that allows for a controlled pitch and retrieve. Also, you want to be able to add tension to the fish quickly. Baitcasting reels take some practice to get used to but definitely have advantages to spinning reels when jigging and pitching baits. The megaforce is a quality baitcasting reel at a reasonable price. The twichin bar allows for slack to be brought in quickly or for action to be added to the lure such as a jig or soft plastic. This reel as a super fast 7.3 to 1 retrieve speed. Max drag is 8.8 lbs. 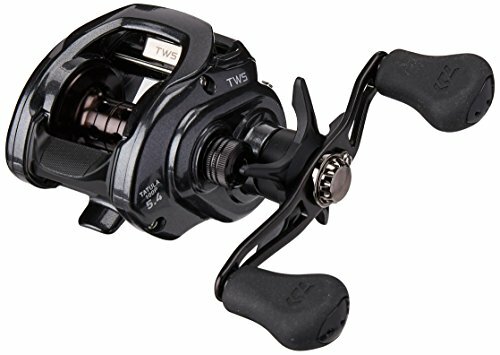 The Daiwa Tatula is a very popular baitcasting reel and is used by many pro anglers. 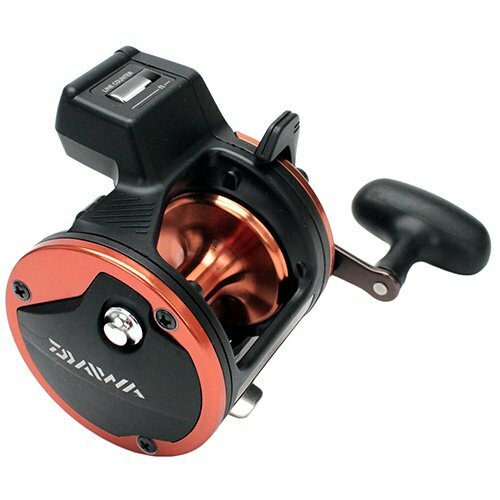 It is a high-end reel and comes in left or right-hand reel configurations. The retrieve speed options for the reel are 6.3, 7.3 or 8.1 to 1. The max drag is 13.2 lbs. This reel had a level wind for easy retrieval. The reel can also be adjusted to account for different weight lures when casting. If you have ever fished deep with a manual crank reel you quicky appreciate the electric reel. It allows you to fish deep without all the energy intensive reeling. When deep dropping it is common to have a 2 to 8-pound cylindrical weight just below a chicken rig with multiple baited hooks. The weight is often bounced off the bottom to attract fish. Depending on the size of the fish the bites can be subtle to see but with practice, it can be a very fun and productive way to fish. Electric reels can be directly connected to a battery or have an external plug the goes to an outlet in the boat. The reels are simple to use, by flipping a lever or pushing a button the line retrieve process starts and the speed of the retrieve can be adjusted. Once the bait gets to a set distance the remaining line can be hand cranked in manually. Electric reels really are a beautiful thing. 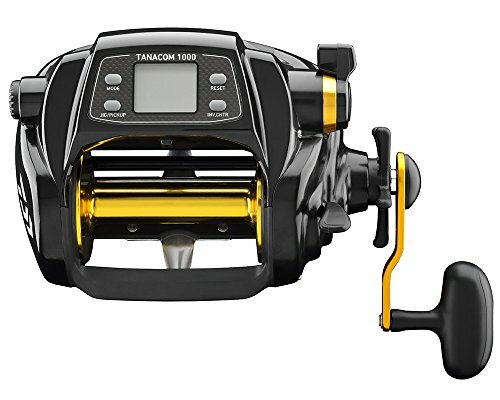 The Daiwa Tanacom is a great value electric reel. Deep dropping is a great way to catch tilefish, snowy grouper, barrelfish, queen snapper and swordfish. The power cable for the reel can be easily connected to and 12-volt battery. This reel can be used to deep drop to over 2000 feet. The line capacity is 550 yards of 80 lb braid. The max drag is 48 lbs which is quite impressive. Many fishermen do not deep drop due to the cost of the electric reels. At around $500 this reel makes it possible to fish deep at a reasonable cost. This is a very popular reel as is used on many charter fishing boats. The battery does need to be charged to the full 12 volts for the reel to retrieve properly. If you are just getting started into fish deep this reel is a great option. Line counter reels are great for setting lures back to a distance or depth while trolling. There are also helpful when flatlining or fishing mid water to know how far back or at what depth the bait is at. This type of reel is very common when salmon trolling, walleye trolling or fishing for yellowtail snapper. Line counter reels usually hold up good in freshwater but only last so long in saltwater so taking care of and washing the reels is very important. The Daiwa Sealine with line counter and the level wind is a popular reel for both saltwater and freshwater. The reel comes in sizes 17, 27, 47 and 57. The corresponding drag is 8.8, 16, 16 and 20 pounds. The corresponding line capacity is 180, 210, 280 and 580 yards of 20-pound mono. 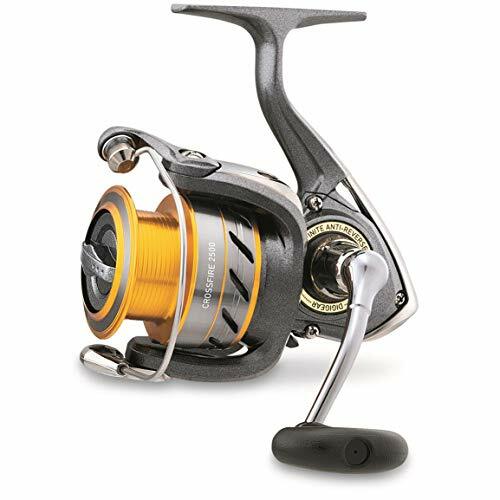 This reel is also available with a left-handed reel and a wide spools to hold more fishing line. Thanks for visiting Global Fishing Reports. I hope these suggestions help you reel in more fish! If you have any suggestions for top Daiwa products, leave a comment below! Captain Cody has worked on charter fishing boats in the Florida Keys, Virgin Islands and Alaska. Cody grew up in Pennsylvania and has also done extensive freshwater fishing including bass fishing tournaments. Cody strives to provide detailed information about the best fishing gear and tactics to help both novice and experienced anglers have a more productive and enjoyable time on the water. Cody also has a background in aerospace engineering and neuroscience but really only takes pride in being good at one thing and that is fishing!